All pets deserve the best possible nutrition for their optimum health and growth and for the prevention of certain diseases. 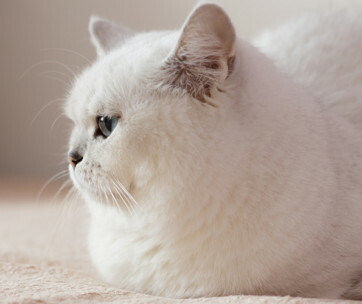 We always emphasize high-quality protein over carbohydrates whenever we talk about optimum cat nutrition. This is because of the carnivorous nature of cats. This should make it easy to choose the best cat food. Unfortunately, there are cat food manufacturers that love putting certain “words” in their labels. This is in an attempt to create a false sense of “advantage” over other brands. Two of these words are “natural” and “organic”. The question is that do these “wordings” translate into better nutrition for our feline pets? Are there any differences at all between these two concepts? Let’s find out. To put it in very simple words, “natural” cat foods are those that contain ingredients that man cannot produce using synthetic methods. The keyword here is “synthetic”, which is also synonymous with “imitation” or “manmade”. An example of a “synthetic” or chemically-synthesized ingredient is butylated hydroxytoluene or BHT. There’s a similar compound, BHA, which is also chemically-synthesized. Both BHT and BHA are synthetic preservatives that pet food manufacturers put in their products. Such substances prolong the shelf-life of pet food products. Another example of a “synthetic” ingredient is Menadione. This is an artificial form of Vitamin K. There are also artificial sweeteners, artificial flavor enhancers, and artificial coloring. These ingredients do not occur in the natural environment. Man has to synthesize these ingredients in highly-controlled environments. This makes the ingredients “un-natural”. It is clear that “natural” cat food should never contain any of these manmade or artificial ingredients. 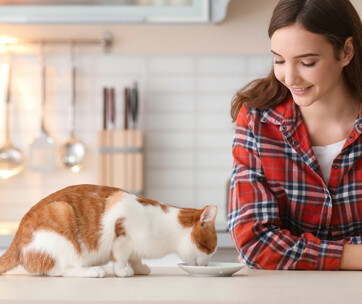 According to the American Association of Feed Control Officials, natural pet food should contain ingredients derived from plants or animals. It can also include mined sources of ingredients. 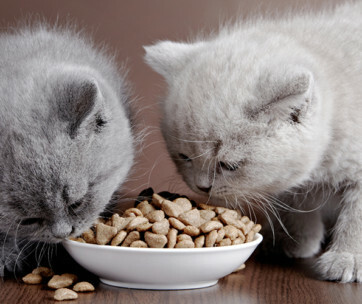 The processing of the ingredients does not have an impact on the “natural” classification of the cat food. Hence, it doesn’t matter if the ingredients underwent heat or physical processing, extraction, purification, enzymolysis, hydrolysis, or fermentation. The fact that these ingredients are not manmade already assures them of being classified as “natural”. However, AAFCO does recognize the need for some “synthetic” ingredients like minerals and vitamins. AAFCO also recognizes the possibility of producing synthetic chemicals from natural processes. If these ingredients end up in the cat food as a result of normal processes, then it’s still considered “natural”. To summarize, “natural” cat food pertains to the state of authenticity or realness of the food ingredients. To be a natural ingredient means it should never be a synthetic, artificial, or manmade ingredient. Defining “organic” foods is the responsibility of the USDA. 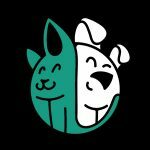 Organic pet foods contain ingredients that come from processes that do not involve the use of chemicals or synthetics. The USDA also has very specific requirements in the classification of “organic” food products. The following are general guidelines that pertain to “organic” foods. Organic food ingredients use cultural, mechanical, and biological food production methods. Organic food production practices foster the cycling of resources, conserve biodiversity, and promote ecological balance. Food products that use synthetic fertilizers, genetic engineering, sewage sludge, and irradiation are not “organic”. In other words, if you’re looking for the best organic cat food, then it should have ingredients that come from the following sources. Here’s the thing about “organic” labeling in different pet food products. It is possible that the cat food you’re getting only contains some ingredients that are sourced via organic food production methods. 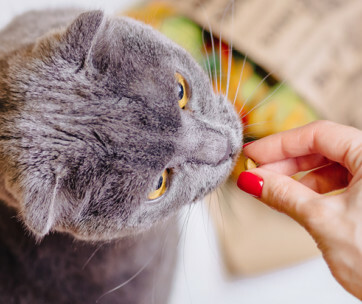 It is, thus, important to recognize another guideline of the USDA when it comes to the labeling of organic pet food products. 100% Organic – Every single piece of ingredient used in the cat food is organic. Organic – Only 95 percent of the ingredients in a cat food are organic. Made with Organic – Between 70 and 95 percent of the ingredients in cat food are organic. 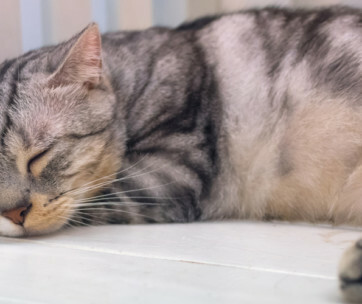 Less than 70% Organic – At least 30 percent of the ingredient in cat food are not organic. 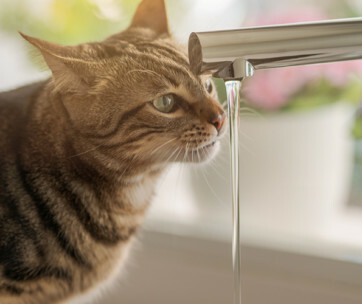 Does Your Cat Need Natural or Organic? Based on what we’ve been discussing so far, it is easy to say that all organic food ingredients are “natural” ingredients. However, not all “natural” cat food ingredients are “organic” in nature. The reasoning is simple. There are natural ingredients that can also be sourced from “non-organic” food production practices. Let’s look at a classic example: chicken. By definition, this is a “natural” ingredient. There is no way man can produce chicken by combining different synthetic chemicals in a laboratory. Chicken can also be either “organic” or “not organic”. Organic chickens grow and thrive without ever relying on commercial feeds. They don’t require antibiotics or growth hormones. Organic chickens are also allowed to roam free in the backyard. Non-organic chickens, on the other hand, receive artificial chemical. They are also kept in cages for the rest of their lives. So, which of these does your cat need? “Natural” or “organic”? It’s clear all cats need natural pet food. This is despite the assurances of AAFCO that trace amounts of synthetic minerals and vitamins in pet food are okay. The big question now is if you should go for “non-organic” natural cat food or “organic” natural cat food? Your choice is more a reflection of your personal preferences. For instance, if price is a major consideration in your buying decisions, then going for non-organic natural cat food is the way to go. However, if you’re more concerned about the safety of your pet, then going “organic” is a sound choice. What is important is that the cat food you give to your pet adheres to the recommended nutrient allowances for your kitty. As a general rule, the best cat food should always be rich in proteins and fats and low in carbohydrates, unless the vet says otherwise.